In the movie a “Few Good Men” the main character Daniel Kaffee played by Tom Cruise is a young lawyer in the armed forces tasked with defending two marines who are accused of the murder of a fellow soldier private William Santiago. Jack Nicholson plays Colonel Nathan Jessup a high ranking official in the marine branch of the US military. The marines basic contention in the case is that they were ordered to take action against the fellow marine who ends up dead whereas the higher ups were contending that the soldiers acted on their own accord. Colonel Jessup especially had an airtight alibi plus the respect assigned to his rank. Since my memory did not serve me correct in all the details of the movie, wikipedia provided that Kaffee is convinced by a fellow officer to call Jessup as a witness despite the risk of being court-martialed for smearing a high ranking officer. Jessup is cool as a cucumber during the questioning by Kaffee, but it is the perfection of Jessup that eventually leads to his undoing and of Jack Nicholson growling probably one of the most famous lines in movie cinema of “you can’t handle truth.” Jessup was caught in a lie because according to him his orders are always followed thus if he had ordered that private Santiago be transferred off the base, then why did those two marines disobey orders and kill private Santiago? The presentation of history as proffered by the American educational system and ratified by its media is very much like Colonel Jessup. It is the testimony of perfection. Everyone in antiquity who are founders and rulers of civilization are always depicted as “whites”. I observed this about the movie Exodus: Gods and Kings in my article The Making Of The Races: What’s Melanin Got To Do With It. All the supposed ancient statuary with a caucasoid phenotype is always beautifully intact particularly as it relates to ancient Greece and Rome. Much of the statuary with a Hamitic broad phenotype seem to always have their noses smashed and faces disfigured much like the Sphinx of Egypt though you can still tell it is of a Black African. In my last article Nebuchadnezzar’s Dream: The Divine Scheme Of Empires In The History of Men, I mentioned the difficulty of locating a son of Japheth in antiquity and I now add with the aid of the Book of Jasher found his representation in Tarshish a son of Javan of the isles of Minoan Crete of the Black Dravidan Indian type with possibly along with some Cushitic types made up the initial native population of Greece and Rome with later infiltration of tribal whites from Central Asia giving rise to the usual swath of mulattoes. I also believe that among them were their own whites due to albinism as in my previous example of the Roma Gypsies. Additionally, the book of Genesis specifically associates Japheth with location among the isles and links them to the Gentiles. In Genesis 10: 1-5, they list the sons of Japheth, but picking it up at verses 4 and 5, it states, “The sons of Javan were Elishah, Tarshish, Kittim, and Dodanim. From these the coastland peoples of the Gentiles were separated into their land… (KJV). In regards to Japheth when Noah is speaking prophetically over his sons after the flood, he declares, “God enlarge Japheth, Let Him dwell in the tent of Shem; Let Canaan be his servant. (Genesis 9:27). This prophecy about Japheth has been fulfilled and then some. However, the irony of it is that it is not the black/brown Japheth who has indeed enlarged himself around the world and into the territories and history of Ham and now dwells as well in the tent/identity of Shem, but “white” Japheth. As I am about to relate the last days of a famous city, it seems appropriate to throw some light on its origin. Some say that the Jews were fugitives from the island of Crete, who settled on the nearest coast of Africa about the time when Saturn was driven from his throne by the power of Jupiter. Evidence of this is sought in the name. There is a famous mountain in Crete called Ida; the neighbouring tribe, the Idaei, came to be called Judaei by a barbarous lengthening of the national name. Others assert that in the reign of Isis the overflowing population of Egypt, led by Hierosolymus and Judas, discharged itself into the neighbouring countries. Many, again, say that they were a race of Ethiopian origin, who in the time of king Cepheus were driven by fear and hatred of their neighbours to seek a new dwelling-place. Others describe them as an Assyrian horde who, not having sufficient territory, took possession of part of Egypt, and founded cities of their own in what is called the Hebrew country, lying on the borders of Syria. Others, again, assign a very distinguished origin to the Jews, alleging that they were the Solymi, a nation celebrated in the poems of Homer, who called the city which they founded Hierosolyma after their own name. The reader should note the association of the then Jews with Crete, Egypt, Ethiopia, Assyria and the Solymi. By associating the Jews with these nations it is clear that they are Black in phenotype as Ethiopia in antiquity always refer to Blacks, but also that these other nations at that time still contained native Black populations and were identified as such. Tacitus additionally supports the prophecy in Daniel of Nebuchadnezzar's dream that the Roman empire was also Black/Brown ruled as the empire of iron because he does something “whites “in the educational/media matrix of America cannot bring themselves to do and that is acknowledge the normative Black/Brown phenotype of the ancient Hebrews/Jews or people of the tribe of Judah. 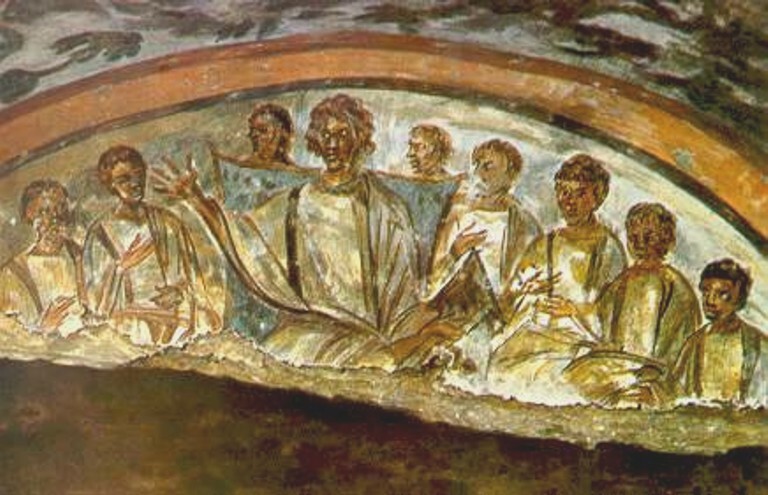 The next question that naturally arises, is that if the Jews at the time of Tacitus writing and the discussion of the impending attack on them where Jerusalem is destroyed by the Romans around 70 ad, were still highly melanated, where did they go upon their dispersal? I will venture more into that question in the next article. 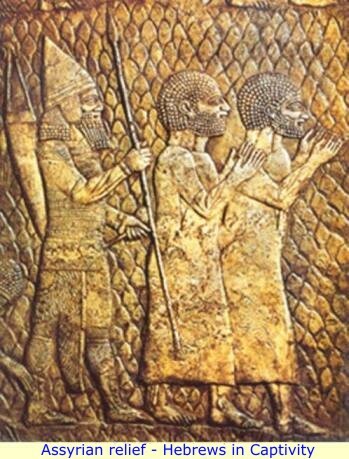 The following are ancient pictorial examples of the Jews around the Roman era and an Assyrian relief showing Hebrew captives. Melanin is God's gift to mankind to protect skin. But mankind has perverted its presence or lack. Good one. I know without a doubt who we are and what they have done to cover things up, but people are awakening now. Thank you Niki. Shalom to you as well and do keep me in your prayers.